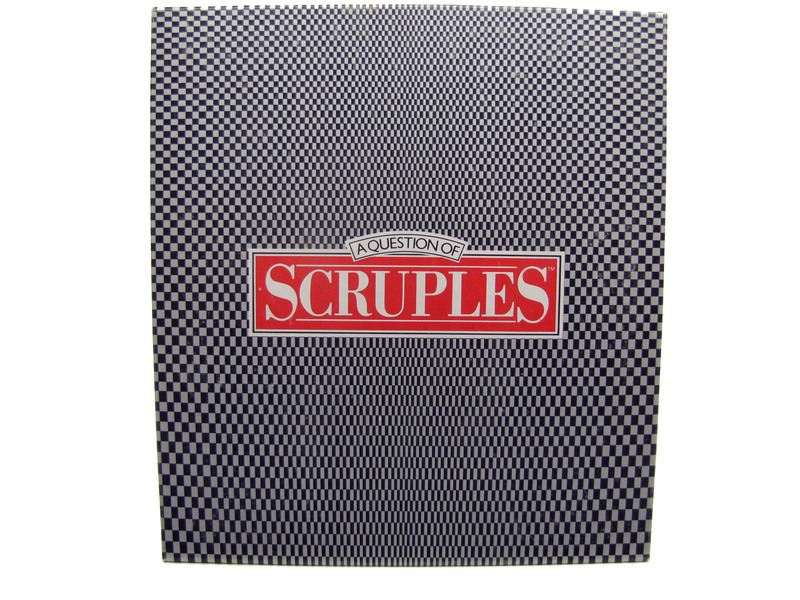 Scruples... The game that poses 252 moral dilemmas on issues of work, money, friends, family, neighbors and, of course relationships! Each player is dealt five dilemma cards, each with a question of scruples, and one reply card. Each reply card says, â€œYes,â€ â€œNo,â€ or â€œDepends.â€ If the player can correctly match anotherâ€™s reply with a dilemma card from oneâ€™s own hand, then the dilemma card is discarded. Otherwise, the dilemma card is replaced with another card from the dilemma card deck. Mismatched responses can be challenged and put to a vote of the other players. The first player to surrender all of oneâ€™s own cards is the winner.